We seldom take the time to really gauge our hunger, focus on our food or even truly savour a few bites. As a result, we often eat when we’re not really hungry, and eat too fast, too much and too unhealthily. Diets that teach us to restrict our calorie intake or eliminate certain foods have proven to be unsustainable. Around 95% of people who lose weight by dieting will regain it in 1-5 years, and our dieting can cultivate an unhealthy relationship to food. This workshop is based on the Mindfulness Based Eating Awareness Training (MB-EAT) programme, which was developed and clinically tested by Dr. Jean Kristeller at Indiana State University. A growing evidence base suggests that the MB-EAT programme is highly effective in helping people manage unruly eating habits and lose weight. 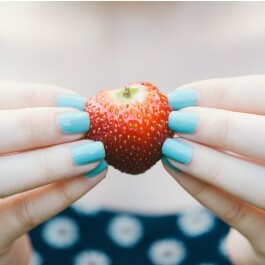 In this experiential workshop you will learn a variety of mindfulness techniques including eating exercises, self kindness, and guided meditations that help get to the heart of physical and emotional eating challenges. You will learn how to use your body’s cues to help guide your decisions to begin and stop eating, and ultimately how to eat the foods you like without guilt and without overeating. By learning how to replace self-criticism with self-nurturing, you’ll gain freedom from worries about food, eating, and weight. This workshop is suitable for those who have a personal interest in applying mindful eating principles in their own lives. It is not intended for healthcare professionals.